Over recent decades, society has increasingly institutionalized the experience of dying and death. There are various reasons for this, but few would argue the business of "dying" has become commercialized and made less personal. In the process, individuals have increasingly become more uncomfortable with the thought of their own mortality. Dying is an inevitable part of life, as BJ Miller, the executive director of the Zen Hospice Project in San Francisco, poignantly pointed out in his inspirational 2015 TED talk. BJ Miller promotes a human-centered approach to palliative care, with a focus on well-being and comfort rather than "illness," where there is space for intention, creativity and alleviation of unnecessary suffering. Dying should not be viewed as a final act of one’s life. Dying is not something to be endured in silence and isolation. People need to be supported as they go through this stage of life. Most hope this process will be on their own terms, with dignity, love and respect. However, a majority of the hospitals that house patients close to end of life were not designed to support palliative care. Furthermore, many people want to choose where and how they die, and generally this is not in the confines of a hospital. Digital health technology now offers some solutions that could improve the quality of end-of-life care. The Institute of Medicine (IOM) reports that people nearing the end of their lives often get seen and hospitalized in multiple health-care settings. Therefore, it is important that their health information is efficiently shared and transferred between different locales, ensuring the continuity of care. Interoperable electronic health records (EHR) and other digital health systems can support this process and enhance communication between different professionals, minimizing delays and avoidable service replications. EHRs can also serve to communicate an individual's wishes, as well as be a part of their advanced care planning. Easy access to a patient’s wishes ensures that a person near end-of-life (when he or she might not be able to make decisions any longer) receives care that reflects his or her previously stated preferences. Another vital aspect of palliative care is interpersonal communication and the sharing of feelings. Many people, including health-care professionals, don’t feel comfortable or competent discussing difficult existential issues with a dying person and/or their family members. Digital health can offer training tools that help educate and guide both the caregiver and patient through potentially difficult conversations. Since patients and their caregivers often feel overwhelmed, social platforms present opportunities to connect and support one another, both emotionally and by providing information and education. Patient support groups are turning into virtual online patient communities, which can be very helpful for people who might be confined to their beds. Center to Advance Palliative Care (CAPC) put together an online hub for palliative care innovation and development. Their website offers training tools and courses, opportunities for collaboration with professionals across the country, as well as technical assistance. They try to support palliative care in any health-care setting and also offer comparative data and reporting on different palliative care programs. Some consultations and examinations can now be done remotely. When nearing the end of life, a person often requires the involvement of a multidisciplinary palliative care team, which can involve numerous home and hospital visits. To limit uncomfortable—and possibly unnecessary—travel and transfers, it is now possible to complete some consultations virtually in the privacy and comfort of one's own home by utilizing teleconferencing. Telehospice has been described as “the newest frontier of telehealthcare delivery.” Remote communication such as a telephone or video conference can be used to perform some services that would previously require a visit to the hospital. This adds a new dimension to palliative care services. For example, if there is a basic, noninvasive procedure needed by a patient, a nurse can instruct the home caregivers via a video conversation how to perform the task. Full telehealth workstations are also being trialed with palliative patients who live in more remote areas. These devices can measure vital signs and transmit the readings to a nurse, so patients can be continuously monitored between in-person visits outside of the hospital. The National Hospice and Palliative Care Organization (NHPCO) has already issued a paper that describes best practices for using telehealth. 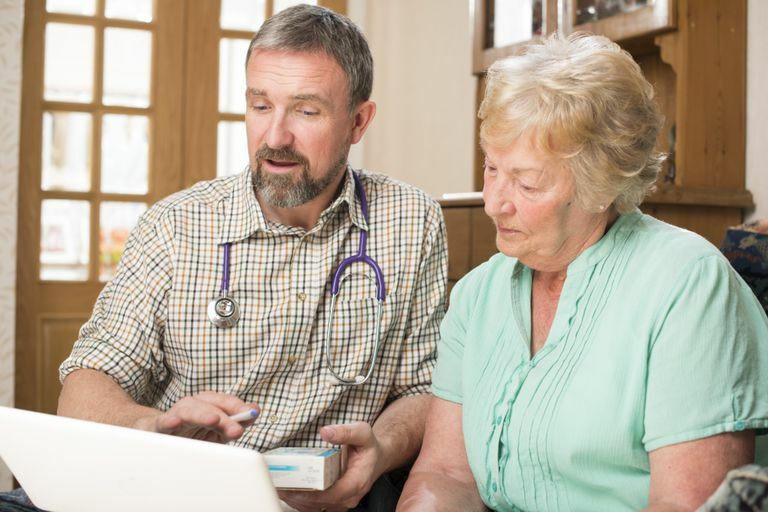 NHPCO has attempted to predict many of the benefits of adopting telehealth in palliative care, including improved access and quality, and better cost efficiency. However, they also recognize some of the challenges, such as funding issues, lack of standardized program guidelines and limited availability of telehealth support staff. Staff readiness has also been a limitation and the uptake of established services has been slow in many places. A study of clinicians’ perspectives of a telehealth program in community palliative care, conducted by Dr. Aileen Collier who has been a palliative care nurse in various locations, showed that reliable infrastructure and technical support are important to adoption. Also, clinicians report that they see telehealth as a way of augmenting their service provision, but not necessarily as a replacement for face-to-face consultations. Telehealth has also been recognized as an important new resource in pediatric palliative care. Many experts see it as a novel possibility to access families who live in more remote areas and are disadvantaged by their geographical location. Hospitals that use a telehealth program describe several issues that can get discussed during a video-consultation, for example, symptom management, psychological well-being, as well as emergency plans. Issues that could otherwise become large problems due to a lack of preexisting understanding. Digital technology can now deliver some of the care and support people want in their final days in a sensitive and convenient way. It can help people in the final stage of life, as well as their families and caregivers, and more developments are to be expected in this field in the future. Digital technology is not likely to replace the important human elements of palliative care, but rather free up resources so that caregivers and patients can better focus on what is truly important, the person. Institute of Medicine. Dying in America: Improving quality and honoring individual preferences near the end of life. 2014.